This entry was posted in Western Classical Music and tagged piano, Pieter de Rooij, Rachmaninoff, Ukraine, United States, USA, Valentina Lisitsa by Pieter de Rooij. Bookmark the permalink. Everything about Valentina is beautiful, and it all stems from her kind, playful and beautiful soul. Her empathy with the audience and the composers of the works she plays makes all her performances sublime. I bless the day I first found her on You-Tube. 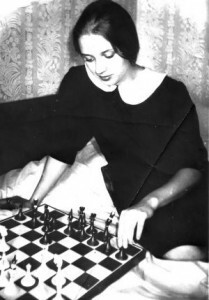 The picture of the young Valentina playing chess, in my opinion, makes her one of the most beautiful women in the world. Of course, it does no harm that she is also one of the very best pianists i’ve heard on more than 70 years as a music lover. Long life and continued success to this sweet young woman.